The standard mobile C-arm has five joint parameters: the height, which translates the C-arm up and down; the wigwag, which is the rotation around the basis of the C-arm; the length, which can adjust the arm length; the angular, which rotates the ''C'' around its center axis; the orbital, which rotates the ''C'' in its own plane. There is no direct control of the X-ray source. The relationship between the motion of the X-ray source and the joints parameters can be modeled using kinematic chains. Due to one DOF missing, not all motion can be achieved by the standard mobile C-arm even within it working space. Therefore, taking the motion of the operating table into account will build a C-arm system having 6DOF. Forward kinematic analysis of the C-arm is to find the positions and orientations of the X-ray source, given the values for the joint variables of the C-arm. The inverse kinematic is used to obtain the joint parameters leading to the desired motion of the end effector (X-ray source). The main goal of this project is computing the joint parameters (including the operating table motion) using the inverse kinematic. 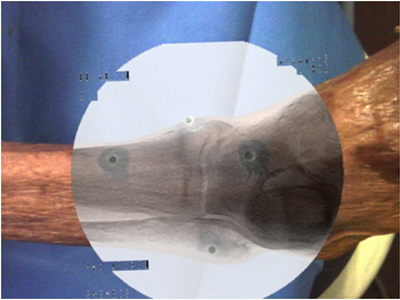 With these obtained joint parameters, surgeons can quickly move the C-arm to reach any target within the C-arm work space, which will definitely simplify their operation and reduce unnecessary X-ray radiation. Your responsibility will be to implement the function of computing the joint parameters (including the operating table motion) using the inverse kinematic and integrate it to our CamC program within close supervision by an interdisciplinary and international team. We have a mature library of computer vision algorithms implemented in C++ and matlab, including basic Matrix operations, various numeric methods, camera calibration algorithms, the forward and inverse kinematic implemented for the 5DOF C-arm. You can definitely make use of these resources and minimize your coding work. Interest in medical technology (You will work most of the time at Narvis). Basic knowledge of 3D transformation is recommendable . Experience with different fields of research in computer science: Computer Vision, Visualization, Software Engineering. Knowledge about clinical/surgical workflow, medical technology (watching a real computer aided medical operation is possible). Working within the real project on the cutting edge technology. The CamC system is introduced into the real patient study, and the outcomes of your research will be used in the near future. Coffee machine, Narvis lab working space in the city center. If you are interested please contact Lejing Wang. Abstract: The standard mobile C-arm has five joint parameters. The relationship between the motion of the X-ray source and the joints parameters can be modeled using kinematic chains. 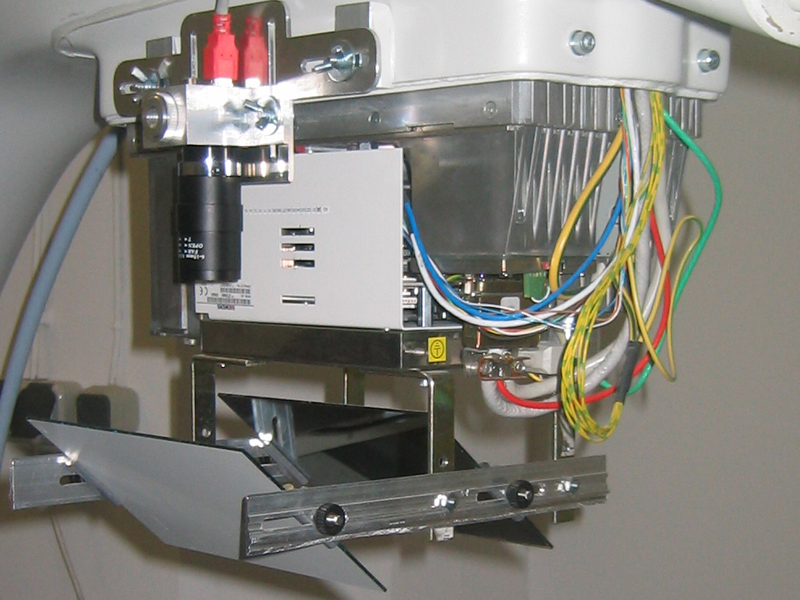 Due to one DOF missing, not all motion can be achieved by the standard mobile C-arm even within it working space. Therefore, taking the motion of the operating table into account will build a C-arm system having 6DOF. Forward kinematic analysis of the C-arm is to find the positions and orientations of the X-ray source, given the values for the joint variables of the C-arm. The inverse kinematic is used to obtain the joint parameters leading to the desired motion of the end effector (X-ray source). The main goal of this project is computing the joint parameters (including the operating table motion) using the inverse kinematic. With these obtained joint parameters, surgeons can quickly move the C-arm to reach the any target within its work space, which will definitely simplify their operation and reduce unnecessary X-ray radiation.